Syrian Christians have requested our prayers concerning the continuing violence in their country, reports Middle East Concern. Several prominent Syrian Christians have been killed recently, including Defence Minister General Dawoud Rajha (assassinated in an attack on the National Security Offices in Damascus on July 18) and Brigader-General Nabil Zougheib (assassinated along with his wife and son at their home in a Christian neighbourhood of Damascus on July 21). Most church leaders point out that any such targeting is not religiously motivated but is either politically motivated or is criminal activity for economic gain. However, many Christians fear that radical Islamist groups are becoming more influential, and that this may lead to increased hostility towards Christians and other minorities. They fear that they may become more vulnerable to criminal activity, including kidnapping-for-ransom incidents. Pray that Christians will know the protection of the Father, the inner peace of Jesus, and the daily guidance of the Spirit. Pray that the bereaved, wounded and traumatized will know the comfort, presence and healing touch of Jesus. Pray that, in the long term, there will be greater religious freedom for all citizens. Pray that those who oppress Christians in Syria may experience repentance and salvation, just as Paul did (Acts 9:1-19). 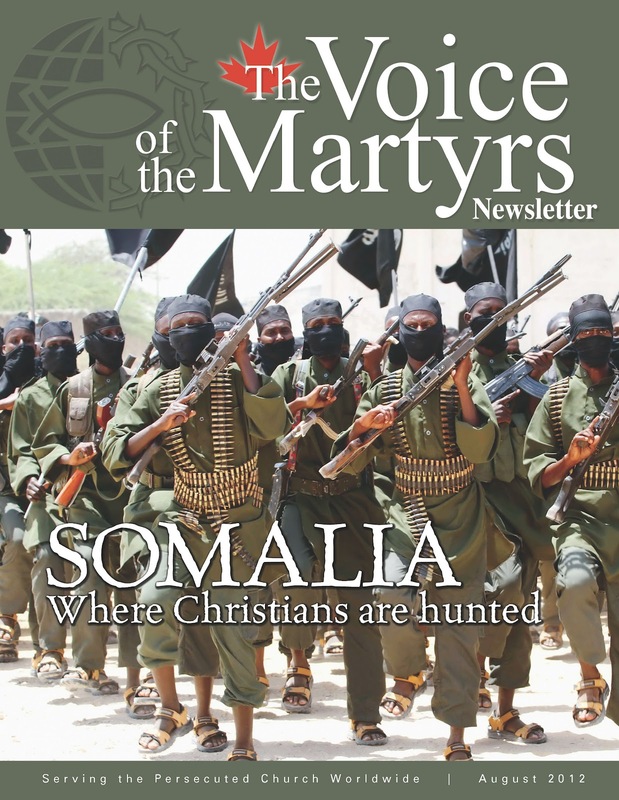 Look for the August issue of The Voice of the Martyrs newsletter in your mailbox this week! 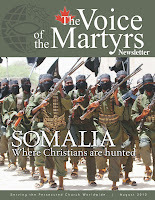 Somalia – Where Christians are hunted: Somalia is second only to North Korea as the world’s worst persecutor of Christians, and Somalis who are discovered to be Christians face almost certain death. Read this month’s feature article to learn how Christians like Abdi, Diya, and Fozia are sharing God’s love in Somalia despite many risks. 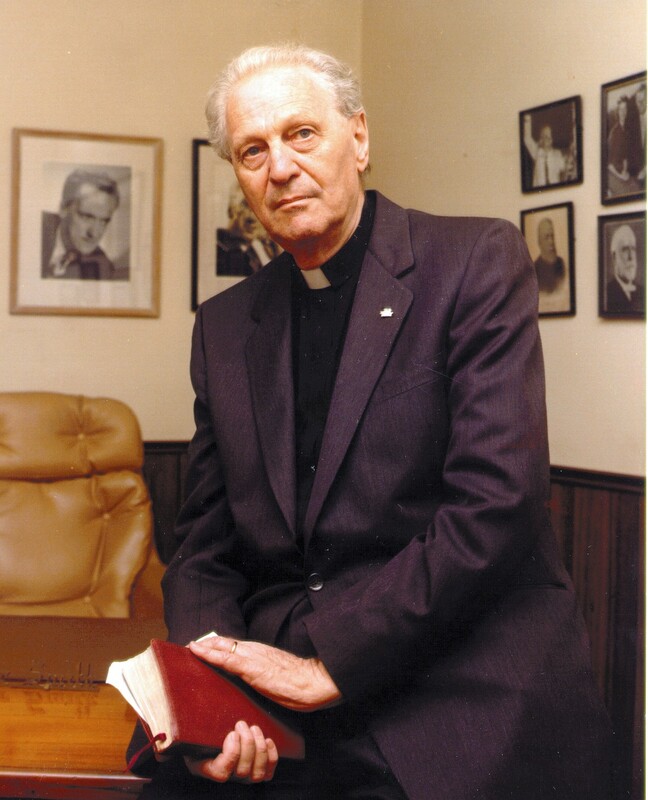 Back to our roots: “Here, on His green pastures, we are all meant to bear crosses to His honour, as well as die to the world, its laws and its sins.” Read an excerpt from the writings of VOM founder, Richard Wurmbrand. Finding Christ through crisis in Egypt: Egyptian Christians have suffered repeated attacks at the hands of both Muslim extremists and the Egyptian army since the 2011 revolution. In these moments of crisis, many in Egypt are coming to know Christ in a deeper way. Prisoner updates: Read updates on believers imprisoned for their faith in Pakistan, China and Iran, and learn how you can encourage them through letter writing. VOM around the world: Discover how VOM materials are inspiring Christians to live boldly in Nepal and Georgia, and learn about the latest trials a Christian family is facing in Israel. published in our newsletter in 1969. To reach North Koreans with the love of Christ, our sister mission, Seoul USA, launches balloons filled with Bibles and other Christian literature into the “Hermit Kingdom.” In April, they began attaching GPS tracking devices to the balloons to further refine their launch effectiveness. However, seven days after the first launch equipped with GPS tracking, North Korea began widely blocking GPS signals originating in South Korea. "North Korea has been jamming GPS signals on and off since April 28," says the Rev. Eric Foley, CEO of Seoul USA. "The jamming disrupts passenger air flights and ships. They'll stop for a few days, deny that they did it, and then start the jamming all over again. The South says the jamming signals are coming from somewhere near the southwestern city of Kaesong, near the demilitarized zone between the two Koreas. This is precisely the area where Seoul USA's payloads have been shown to land." Foley notes that the jamming reveals just how concerned North Korea is over the balloon launches. "North Korea doesn't fear military might. They have the fourth largest army on the planet – 1.2 million soldiers. And they have the largest contingent of Special Forces in the world, even more than the United States or China. Economic sanctions don't really slow them down – 80% of their economy is underground. They make a billion dollars a year from weapons sales, heroin trafficking, and money laundering. But what does concern them is the spread of the gospel, which is the only direct and serious challenge to the message that Kim Il Sung is god and that he and his offspring deserve the unquestioned allegiance of the North Korean people." To stop the spread of that message, says Foley, North Korea will stop at nothing. But VOM remains just as committed to sharing God’s love. We have been launching scripture balloons into North Korea for over 40 years, and will continue to do so for as long as the Lord leads. VOM also helps equip and train North Korean defectors who desire to tell other North Koreans about Christ’s love. 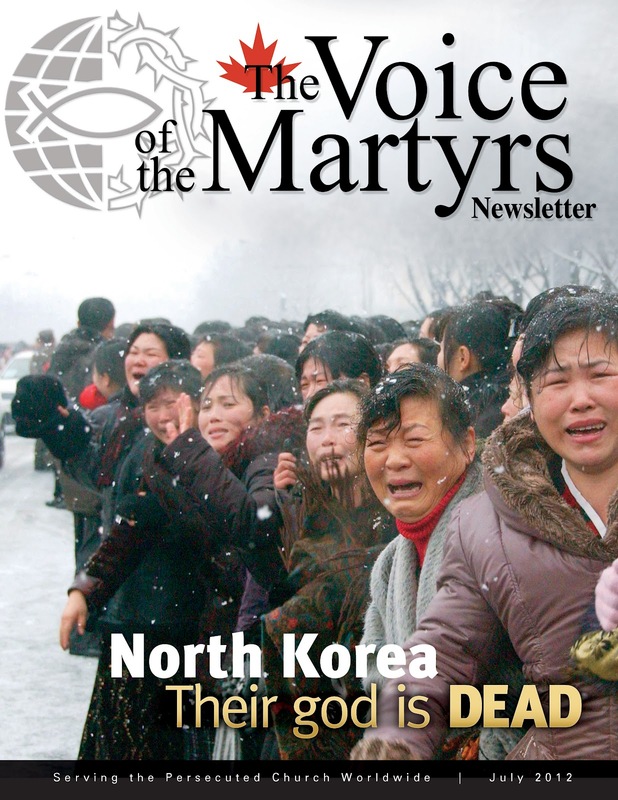 To learn more about VOM’s work in North Korea and the difficulty Christians face there, contact our office and request a copy of our July 2012 newsletter, or visit our online North Korea Country Report. If you would like to support balloon launches or other VOM projects in North Korea, please consider making a donation. When his denomination said that “God alone” would convert heathens in pagan countries, William ignored them and embarked on one of the most successful missionary journeys in church history. In addition, he taught himself several languages and published a book that became the source for the modern missionary movement. 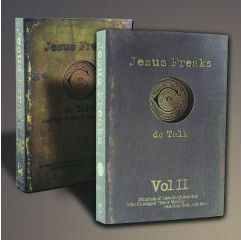 He also translated the New Testament into thirty-four languages and the Old Testament into eight. William Carey fought for years against the practice in India of burning wives alive with their dead husbands. Eventually, despite government opposition, he succeeded in getting the burnings banned. Carey spent his life as an innovator for Christ, facing hardships to make a difference. And he was known for encouraging others to “Expect great things from God; attempt great things for God” (based on Isaiah 54:2-3). William Carey did just that. Most people fall into the following categories when it comes to sharing their faith: go-go, slow-go, and no-go. When Jesus calls Christians to go into the world and make disciples, some respond with great fervor. Like William Carey, they go and go for the gospel. Still others respond, but only halfheartedly, slowing down with age or the busyness of their schedule. Sadly, many believers are no-go Christians. They hear the command, but they figure that someone else will do it. Which category best describes your response to Jesus’ call to evangelism? Ask God to renew a desire to share your faith with others. If you are expecting great things from his answer, then be prepared to attempt great things in his name. 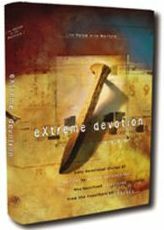 You can order a copy of Extreme Devotion from our online catalogue or by contacting our office. Gabriela and her family live in a war zone in Colombia. The mother of two teenagers says she was so spiritually abused that she was overcome with depression and was ready to take her own children's lives. However, through Christian love and solid biblical teaching via radio, Gabriela has been set free. Today she is demonstrating that same love in one of the most violent areas of the world. For more information and prayer requests about Colombia, click here. For other videos like this one, visit our multimedia site. Share the message with your family! Church with your whole family this summer! This summer, engage your entire family with the call to remember those in prison (Hebrews 13:3). Are you planning to go away on holiday? Bring along reading material from VOM, which will inspire even the youngest of readers to boldly live for Jesus Christ (visit our online catalogue for our list of kids’ resources). You can also keep your kids occupied this summer with VOM’s engaging children’s ministry site, www.KidsOfCourage.com. Updated frequently, this site provides age-appropriate ways for your children to learn about real-life “kids of courage” who follow the Lord despite great risks. Encourage the teens or young adults in your family to get connected with Thirteen Three, a ministry that links youths across Canada with young people facing persecution for their faith worldwide. For more, go to www.ThirteenThree.ca. Finally, invite women of all ages to engage with Release Women, VOM’s new ministry that serves our persecuted sisters in Christ. Find out how you can get involved by visiting our website. Want another way to keep your family busy this summer? If you are in the Mississauga area, consider volunteering as a family for several hours at our head office, helping our staff with tasks such as database entry, preparing book orders, and assembling outgoing mail. This is a great way for youths to accumulate volunteer hours! Contact our office for more information or to set up a day that is convenient for you. 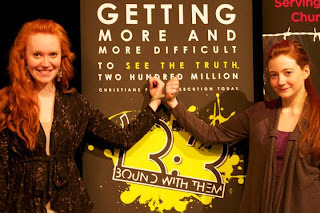 Do you have any other ideas on how Christians can take the message of the persecuted to their family this summer? Leave your ideas and suggestions in the comments section below. Coptic Christians make up the largest Christian community in the Middle East, which also makes them sitting targets for violence and discrimination. As Egypt moves toward "democratic reforms," the situation is deteriorating for the Coptic church, especially Christian women. According to a new report, the number of disappearances and abductions among Coptic women is on the rise, all with the goal of converting the women to Islam. Watch this video report from CBN News to find out more, and please remember these Christian women in your prayers. For more information on Egypt’s persecuted Church, click here. 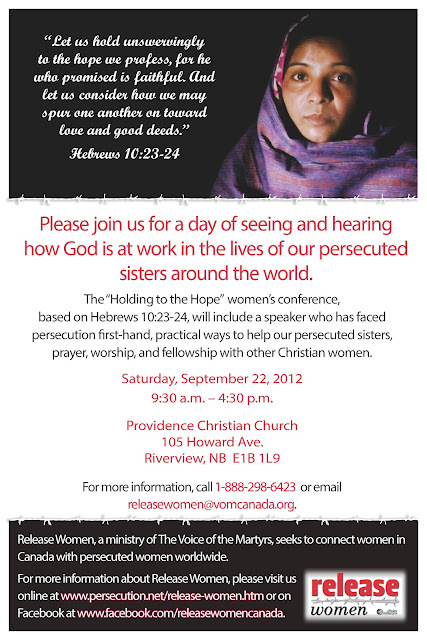 Please join us for a day of seeing and hearing how God is at work in the lives of our persecuted sisters around the world. The "Holding to the Hope" conference, based on Hebrews 10:23-24, will include a speaker who has faced persecution first-hand, practical ways to help our persecuted sisters, prayer, worship, and fellowship with other Christian women. The conference is open to all women, so please do invite a friend! For more information, please click here. To learn more about VOM’s women’s ministry, Release Women, visit our website. in a February church attack. In the Plateau state of central Nigeria, tensions had run high all week between ethnic Fulani, who are mainly Muslim, and ethnic Birom, mainly Christian. It was only the latest outbreak of anger in a decade-long cycle of aggression and reprisals, reports Compass Direct News. “Fifty of our church members were killed in the church building where they had fled to take refuge. They were killed alongside the wife of the pastor and children,” said Rev. Dachollom Datiri, vice president of the Church of Christ in Nigeria. Please pray for Christians in Nigeria. Pray that Christians will not retaliate, but will show love and peace to their persecutors. 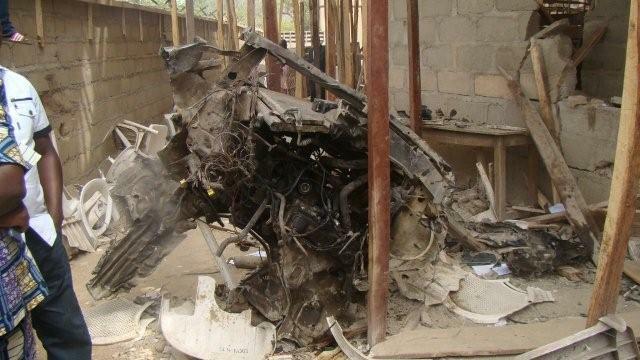 Pray for wisdom for Nigeria’s leaders during this time of unrest. Please pray the Lord will heal and restore those who have suffered as a result of these attacks. To read the full report, click here. For more information on persecution in Nigeria, visit our Nigeria Country Report. Do you make cards or bookmarks? be used at VOM conferences. Do you enjoy making cards? We are looking for hand-made cards that can be used at VOM conferences for attendees to write encouraging notes to prisoners of faith. Be creative! Get your kids, Sunday school class, or VBS involved. Organize a card-making event with your church members or with friends and family. We will also gladly accept hand-made bookmarks. Simply drop off or mail your blank hand-made cards to our office (click here for contact information). Please be sure to include a note with the cards stating the first name(s) of those who created the cards or bookmarks and the city where you live. We look forward to seeing the creativity of our blog readers! Lao officials arrested two Lao and two Thai Christians in Luang Namtha Province in June, seizing them from a private residence in Long district, reports Compass Direct News. 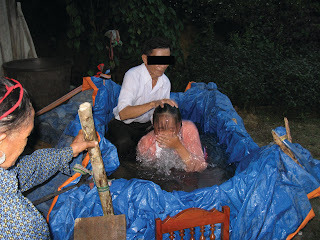 A resident of the village witnessed the Thai Christians, brothers Jonasa and Phanthakorn Wiwatdamrong, explaining Bible passages to enquirers in a private home. He then reported their presence to police. Police raided the home, confiscating the brothers' passports along with biblical literature and Christian CDs. The Christians have reportedly been charged with "spreading the Christian faith without official approval." Jonasa and Phanthakorn, along with two local residents, one identified by the single name Chalar and the other as yet unidentified, were taken directly to Luang Namtha provincial prison. Elsewhere, the military commander of Phin district, Savannakhet Province, discharged two members of the Alowmai village security force, identified by the single names Khamsorn and Tonglai, for converting to Christianity. Thank the Lord for the faithfulness of these believers. Ask Him to give them the faith to stand firm during this trial. Pray they will take comfort in the fact that God commends those who suffer for doing good (1 Peter 2:20-21). Pray they will be witnesses of the gospel to their persecutors. “Men choose a religion, but a Christian is chosen by Jesus Christ. To be a Christian means to belong to Christ. Jesus asked me to renounce even my life, to follow Him faithfully, not to fear the world even if my body must perish. I prefer to know that God, the Almighty, is with me, even if it means that the whole world is against me. “I am in God’s hands. For 45 years I have walked with the God of miracles, and His goodness is for me a shadow that protects me in His love. “The God of Daniel, who protected his friends, protected me during my nine years in prison, and all torments changed to my good, so that I have the fullness of love and gratitude. Pastor Mehdi Dibaj of Iran was on trial for his life, and these words were the defense he gave in court. An upper class Muslim, he and his family had converted to Christianity. He had dared to translate Christian radio programs and books into the Farsi language. He was arrested in 1985 and accused of apostasy, denying the Muslim faith. For this, he faced the death penalty. In Iran, social and political pressure is sometimes used to force Christians to recant their new-found faith in Jesus Christ. Some are even tortured. Dibaj was imprisoned alone for two years in a cramped hole with no room to stretch his legs. While he was in prison, his wife, Azizeh, left Dibaj and was forced to marry a Muslim. When Dibaj steadfastly refused to deny his faith, the court condemned him to death. But after one month he was set free because of international attention that had been brought to his case. Soon after this, however, he was found dead in a park. It is believed by some that Islamic leaders had called for his execution. Despite losing their father, his four children remain faithful to Jesus Christ. As he faced the court that would sentence him to death, Pastor Dibaj said, “I prefer to know that God, the Almighty, is with me, even if it means that the whole world is against me.” He had learned the secret of being able to stand alone among men – standing with God. Pray for radio programs that preach the Gospel to Muslims. Pray for safety for all those involved. Pray for the listeners, that the Word of God will penetrate their darkness and bring them to new life in Jesus Christ. A blog hosted by The Christian Post recently shared commentary about the changing situation in Egypt after the election of Mohamed Morsi. As you read these words, may you be inspired to pray for Egypt and to remember our brothers and sisters there. Living in Egypt these days is like riding a roller coaster. It takes you up gently and slowly in a nice, refreshing, relaxed short ride. That is when you start to feel that hope could still be possible for us to get from a certain man or a new system. Suddenly at a point you don’t expect, at the turn, it speeds up, taking you to the very bottom while some are laughing and many others are screaming loudly in panic. For many people, such a ride is fun in the beginning, but suffering comes soon after. All day long we are stormed with news of developments, sudden changes, disappointments, rumors, incidents and news of attacks and clashes here or there that are happening around us every single day. All our expectations and hopes for a new, open country where Christians may gain their long-lost rights are now a goal so far away to reach. The arising Islamic influence in Egypt has significantly increased with the Muslim Brotherhood and Salafist parties jumping into power, leaving small space for civilian and liberal parties. Working hard, mostly underground for almost 80 years, the Muslim Brotherhood movement won the top post in the country in June. Many people living in Egypt these days are feeling so hopeless, helpless and worried about the future. This includes millions of nominal Christians, and believe it or not, many Muslims as well, who wish to live under a civilian government, not a fundamentalist Islamic-ruled country. As for me and my family, along with so many committed Christians in Egypt, we have a special joy and peace that only our Father can give. It’s the same joy and peace Daniel had in the lions’ den; that three young men had in the middle of the fiery furnace; and that the disciples had, seeing the shining face of Jesus approaching the boat in the middle of the dark night and the stormy waves. The question we Christians of Egypt ask ourselves today is a simple one. Is it not better, safer and more comfortable, according to reason and legitimate life needs, to stay outside the lions’ den? Is it not cooler to stay outside the fiery furnace, rather than suffering the burning flames? And is it not more comfortable and assuring to stay dry by the side of the lake around the campfire, enjoying the evening breezes, rather than fighting high waves and struggling desperately to stay alive? Over the last few months, many Christians have already run away from the den, the furnace and jumped out of the boat. This is of course heart-breaking news for us. Last month I waved good bye to my lifetime friend and ministry partner, who left to the United States together with his family. It’s really painful. However, to see the shining and comforting face of Jesus in the middle of trouble, hardship and instability is a unique blessing from above. To hold to the many promises in the Word of God and putting them to action is a heavenly assurance that no man, no system, no wealth and no power can give. Reading the wonderful words of Psalm 91, along with so many other promises, brings true joy and peace to our hearts, because we know that our Father is in control. This is the reason why my family and I, along with many Christians scattered all over Egypt, in villages, towns and cities, are staying here on the front lines, committed to reflect the shining love of Jesus to our fellow Egyptians, no matter who they are. To read the full blog article, click here. For more information on Egypt’s persecuted Church, visit the Egypt Country Report. Christians around the world will join in prayer for the Muslim world from July 20 through August 18 as Muslims enter their month of prayer and fasting called Ramadan. 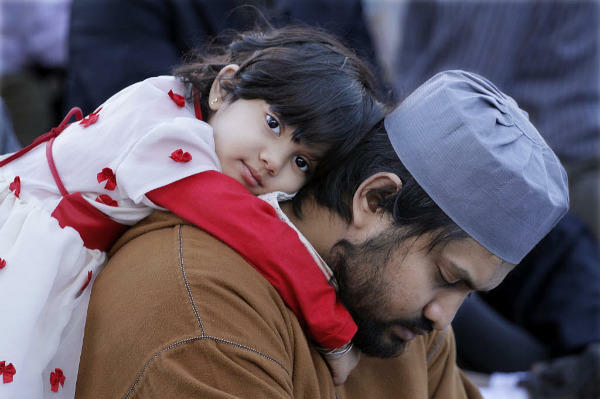 During Ramadan, Muslims focus on prayer and spiritual development. They fast from first light until nightfall, breaking the fast by eating large meals with extended family. It is one of the most important Muslim celebrations of the year, and many Christians dedicate time during this month to pray for the Muslim world and specifically for their Muslim friends and neighbours. Ramadan brings out a special feeling of emotional excitement and religious zeal among Muslims of all ages. A typical day of fasting begins around 4:30 a.m., when Muslims share a meal before beginning the fast at dawn. As dawn breaks, they offer the first of five daily prayers. As the day proceeds and their hunger increases, fasting Muslims remind themselves that they are fasting for the sole purpose of pleasing Allah and seeking his mercy. Muslims are encouraged to make special efforts to help the needy, both financially and emotionally, throughout the month. For this reason, Ramadan is also known as the month of charity and generosity. To a Muslim, fasting means abstaining not only from food but also from all vice and evils committed consciously or unconsciously. As Muslims around the world begin their 30-day period of soul-searching, many set aside this time to intercede for them. Pray that many Muslims will learn the truth about Jesus. Pray that all Christians will better love their Muslim neighbours. Pray for Christians in Muslim countries who face discrimination and persecution because of their faith. Pray that Christians in Muslim countries will be a loving witness of Jesus Christ, despite opposition. Pray for wisdom and guidance for the leaders of Muslim countries. Please add your own prayers and prayer requests in the comments section below. The first state-sponsored terror against Christians in the Roman Empire came at the order of one of the most debased of all emperors: Nero. 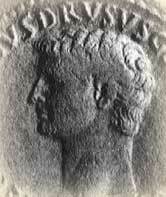 Tacitus, the Roman historian, in Book XV of his Annals, gives a lengthy account of Nero's debaucheries and cruelties. These led the Romans to distrust him. So despised was Nero that when Rome caught fire, on this day – July 19, 64 – popular opinion attributed the catastrophe to him. Many citizens perished in the flames. The fire was aggravated by rowdies who threw firebrands into untouched houses, claiming they had been ordered to do so. In the public mind, those orders came from Nero. A rumour spread that Nero had appeared on a stage during the catastrophe and sung a song "comparing present misfortunes with the calamities of antiquity," especially Troy. Nero tried to counter this downturn in his "public approval ratings" by throwing open his own resources to the homeless. He sponsored a number of religious activities designed to show himself innocent. Nothing worked. And so he determined to find scapegoats. He fastened upon the Christians as most suitable for his diabolical purpose. A few who admitted their faith were tortured until they revealed the names of others. Beginning a few weeks after the fire, the city was the scene of every imaginable torment. And not Rome only, for persecution spread throughout the empire. But in the capital Nero held nightly spectacles in which every torture was applied to the suffering saints. Some were burned alive. Others were sewn into the skins of wild animals and given to dogs to tear. Still others were crucified. Martyrs were exhibited in the circus with Nero presiding, dressed as a charioteer. The wicked emperor threw open his own gardens to more such spectacles. So many Christians died so brutally that public sympathy swung in their favour. The people realized that Christians were being put to death not for starting the fire but to cover Nero's crimes and to sate his appetite for cruelty. Compassion for the meek followers of Jesus, whose blameless conduct was apparent to many, led to a new wave of conversions. Among those who almost certainly perished in Nero's fury in Rome was the apostle Peter. Paul is thought to have been executed a few years later. Others who were martyred elsewhere in the empire were the Bishop of Damascus and a man mentioned in scripture: Joseph called Barsabas. Paul's fellow minister, Trophimus, is also said to have perished in this outpouring of hostility as did many others whose names we do not know. Christ had taught that as men persecuted him so they would persecute his followers. A servant is not above his master. are in prison today. Many are held in shipping containers. This month, the United Nations Human Rights Council (HRC) adopted its first resolution on Eritrea, approving the mandate for a Special Rapporteur who will report to the HRC and the UN General Assembly on the human rights situation in Eritrea, reports Christian Solidarity Worldwide. 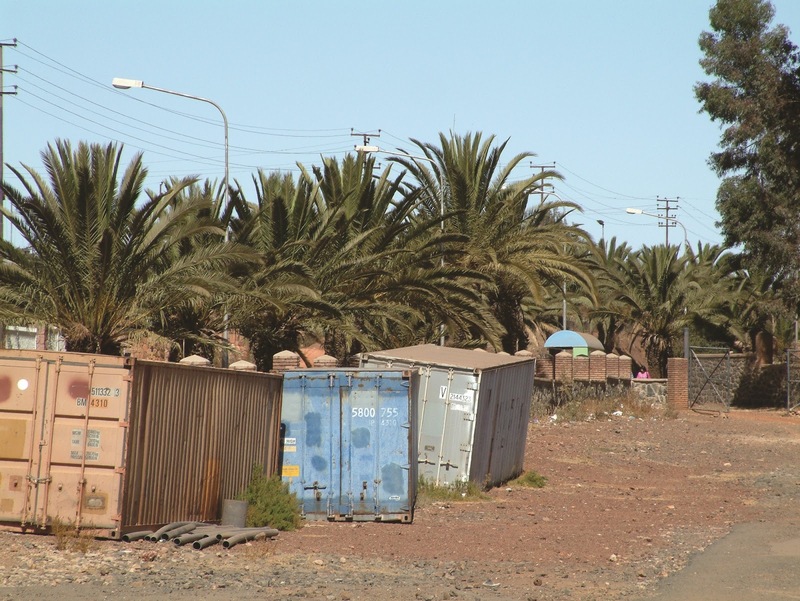 Eritrea is one of the world’s most repressive regimes, often likened to North Korea. It is a single party state dominated by a dictatorial president. The military pervades every aspect of society, including education and the economy. Military conscription, which can last indefinitely, is mandatory for all citizens aged between 18 and 48, and conscripts are often used as forced labour in development projects and farms. Tens of thousands of Eritreans, including many Christians, languish in the country’s maze of detention centres without having received, and with no hope of receiving, due process. Thousands more flee their country every year, risking a government shoot-to-kill border policy, with many falling prey to extortion and torture by people traffickers. In an interview with Mission Network News, VOM-USA’s Todd Nettleton explained the situation many Christians are facing in Eritrea. "Thousands of Eritrean Christians have been arrested,” he said. “They've been put into the jail system or the military prison system. Some of them have been held in shipping containers literally without running water, without a bathroom – just locked in a shipping container." Please keep Eritrea in your prayers. Pray that this resolution will bring about positive change in Eritrea. Pray that Christians in Eritrea will remain steadfast in their faith. Pray that God will open doors of opportunity for those in prison for their faith to clearly share the gospel for which they suffer (Colossians 4:2-3). To read the testimony of Kidane, an Eritrean Christian who faced imprisonment and is now a refugee, click here. For more information on Eritrea’s persecuted Church, go to the Eritrea Country Report. Is religious freedom respected in China? VOM’s Greg Musselman was recently interviewed by Mission Network News about religious freedom in China. You can read the interview below. Some wonder what the big deal is with registering a house church in China anyway. Musselman explains, “There may be some good things going on within the government-controlled churches [if they are] preaching a salvation message, but really that is frowned upon by the government. One recent example of governmental crackdown on unregistered church activity took place two weeks ago, June 26, when Chinese government officials forced a teacher theological training camp for pastors to shut down. 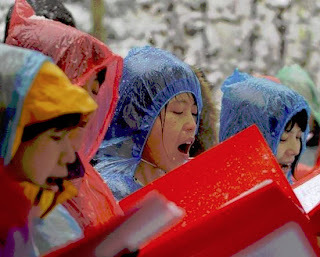 ChinaAid says that cases of Christian persecution like these in China have increased by 20%. To learn more about persecution in China, visit our China Country Report. in homes to study God’s Word. The increasing spread of Christianity in Iran and the resulting growth of house churches has become a great concern for Iranian religious experts and clerics, reports Mohabat News. During a meeting with the leader and managers of the Organization of Islamic Propaganda in the city of Qom, an Islamic cleric warned participants against "the enemy's efforts" to establish house churches. Cultural authorities, especially those at the Organization of Islamic Propaganda, were also called upon to be pioneers in promoting religious teachings. Qom is considered the religious capital of Iran because the most prominent Shi'ite seminary is based in the city. The Islamic cleric also called for the implementation of propagating programs for Iranian families, stating, "The presence of clerics among families is the best and most effective way to promote religious matters and Shariah laws." Heydar Moslehi, the Iranian Intelligence Minister, also spoke in a meeting held in Feizieh Seminary in Qom. He outlined ways to deal with the growth of Christianity and house churches in Iran. He also announced a series of new plans against Christianity. 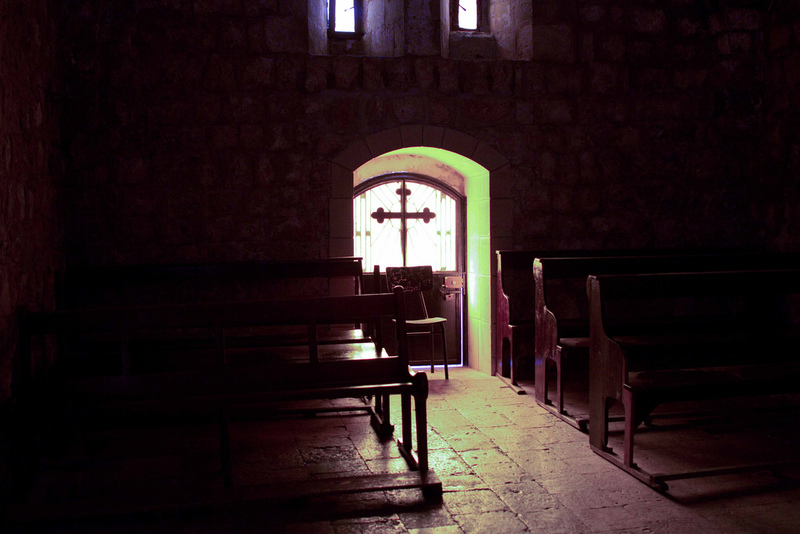 The increased threats, arrests and torture of a number Christians and Christian converts by security and judicial authorities, especially in religious cities, is convincing evidence that the Ayatollahs (Islamic clerics) direct the intelligence and security services of the regime in dealing with the growth of Christianity in Iran, Mohabat reports. To read the full report, click here. For more on Iran’s persecuted Church, visit our Iran Country Report. The crowd grew angry, and Hezekiah tried to reason with them. Finally, they grabbed him by the hair and began to punch him in the face until he fell unconscious. A friend of Hezekiah was able to take him to his house where he remained in bed for four days recuperating from the beatings. Hezekiah has never been able to return to his father’s house, but he continues to travel from village to village in Laos carrying the good news of salvation. God’s loyalty to his children is not based on reciprocity. If it were, we would all have been abandoned long ago. Instead, God is well aware of our frailties and chooses to love us anyway. We must be careful to read the stories of Christian martyrs in light of God’s loyalty to his children. The martyrs would be the first to remind us that their story is not about them. It’s about God! Though we read many believers who willingly endured scourging rather than renouncing Christ, the amazing conclusion is not the extreme loyalty of a person but the extreme faithfulness of the God of glory. Your faithfulness may falter, but his steadfast loyalty to you never ends. Take time to thank God for his loyalty today. Two evangelists were arrested and beaten after meeting with a Muslim woman on Indonesia’s Sumatra Island, reports VOM-USA. The evangelists, Roy and Ribur, were accused of coercing the woman, who is from a Muslim majority area, to be baptized. The pair had met with the woman previously and asked her to join their church. They were subsequently invited to her home for further discussion. But when the evangelists mentioned Jesus Christ, the woman appeared confused and went outside to talk with her neighbour. She eventually went to the village head to report that there were Christians in the village. Roy and Ribur were then brought before the village head, who confiscated their bags containing gospel tracts, a list of new believers and a water bottle that was believed to be used for baptisms. News of the “forced” baptism quickly spread, and a mob that had gathered outside the village leader’s office began to beat Roy and Ribur. Police intervened and arrested the two evangelists. Please pray for Roy and Ribur. Pray that God will use them to show His love to the people on Sumatra Island. To learn more about persecution in Indonesia, click here. In recent years, more than 250 churches in Sri Lanka have been damaged or destroyed, and Christians and their homes have been attacked. After such attacks, it is often the children that struggle to cope, worrying about whether another assault might come or what might happen to their parents. To help these children, VOM sponsors a kids’ camp run by The National Christian Evangelical Alliance of Sri Lanka through our Families of Martyrs Fund. The camp provides kids with biblical teaching and tools to help them process their experiences. The kids are also able to build lasting friendships with other kids who have faced similar attacks, reminding them that they are not alone in their sufferings. VOM’s children’s ministry, Kids of Courage, recently shared stories of several children who attended the camp. These stories were originally published in our July 2011 newsletter, but have been modified to be appropriate to share with children. Please share these stories with the kids you know, encouraging them to remember their persecuted brothers and sisters in Sri Lanka! Nimal, age 6, and his sister, Nirmala, age 12, were two of the Christians whose home was attacked. A mob threw a fire bomb through their window one night, catching the curtains on fire. Thankfully, the children’s father put out the flames and no one was hurt. But sometimes the children felt worried and fearful after the attack. Christians in Sri Lanka invited Nimal and Nirmala to come to a camp for children whose families have been persecuted for their Christian work. At the camp, they made friends with other children who had been through similar experiences. They learned more about the Bible and about how to overcome their fear. Their family is grateful for the camp. John and Andrew are brothers who also attended the camp. John is 16 and Andrew is 13. Before they went to the camp, they had visited relatives with their parents, then headed home. But they found they no longer had a home! Their house and the attached church were completely burned down. A mob had burned it because John and Andrew’s father was the pastor of the church. Some non-Christians in Sri Lanka do not want churches to grow. John and Andrew were shocked when they saw their burned home and church. John found the drums and guitar he had used to lead worship at the church. The instruments were ruined. His schoolbooks and notes were also burned. Christians invited John and Andrew to the camp, where they found comfort in the Bible teachings and friendships with other persecuted kids. Thank God for providing comfort for his children are in difficult situations. For other age-appropriate stories and activities to teach kids about the persecuted Church, visit Kids of Courage online. detonated in the Ortiz family’s home. A Messianic Jewish congregation leader whose son was almost killed by a bomb planted by an ultra-right wing Jew said he feels like the Israeli criminal justice system has abandoned him, reports Compass Direct News. On March 20, 2008, Jack Teitel placed a Purim basket laden with explosives at the front door of the Ortiz apartment in Ariel, Israel, according to a confession Teitel made to police. The bomb was meant to kill Ortiz, who runs an active ministry in Israel and in parts of the Occupied Territories. 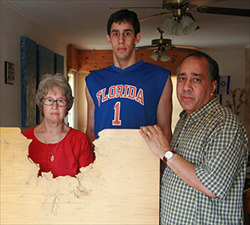 However, the pastor’s son, 15-year-old Ami Ortiz, opened the basket. The subsequent blast severely injured Ami. In May 2012 the Jerusalem District Court approved a plea agreement for Jack Teitel without consulting Ortiz or his attorneys. Ortiz, leader of the Congregation of Ariel, said the prosecutor’s office has also consistently misled his attorneys about basic information on important court filings for the case. The Ortiz family opposes any plea bargain. In June, the Jerusalem District Court was scheduled to have another hearing to determine if Teitel is “criminally responsible” for the shootings and bombings. Earlier this year, the court declared he was fit to stand trial. David Ortiz said he has long been concerned that the prosecution will make a deal with the defense in which they will say Teitel was insane when he set the bomb, thus making him not responsible for what he did. To read the full report, click here. The August edition of The Voice of the Martyrs Newsletter shares about recent struggles the Ortiz family has faced from those opposed to their sharing the gospel. Be sure to sign up to receive a free copy of the newsletter to learn more. "I need your help, Eric." Evangelist D. P. Thompson was urgent. "Not many men come out to the meetings. I think they would come if they knew you were going to speak." Eric did not like to speak in public. He was shy. But he did not say anything to D. P. Thompson of this. He looked at his feet a couple moments then looked up and answered, "yes." That's how he wound up on the platform, making his appeal to people to turn their lives over to God. He didn't chew them out for doing wrong. Instead, he spoke of God's love and support as he had personally experienced it. Eric had needed that support. His parents were missionaries in far off China. For much of his life he had had to stay behind in Scotland without them. There he had shown great ability as a scholar and as an athlete. He and his brother Rob were noted rugby players and when Eric began to run and win races, his picture was frequently in the newspapers. People began to speak of him as an Olympic Games contender. He trained hard for the opportunity. If you've seen the movie Chariots of Fire, you have thrilled at Eric Liddell's stand for principle. It almost cost him his chance at Olympic gold, for the 100 meter was his best race. But he dropped out, rather than run in the qualifying heats on a Sunday. Instead he preached in a Paris church that day while starting guns popped in the stadium. Nevertheless, Eric captured an unexpected bronze in the 200 meter and worked his way through the qualifying heats for the 400 meter. His trial times were not spectacular. It did not seem he could beat the other fine contenders. Eric crouched ready to run. It was on this day, July 11, 1924. Defeat or victory today, he would accept it. He had told the crowds who came to hear him speak that he did not ever question what God brought his way. "I don't need explanations from God. I simply believe him and accept whatever comes my way." The gun cracked. Eric was out of his crouch and running, head tilted back, arms flailing. If this had been a sprint, he could not have flown faster. When the finish tape drew taut across his chest, he was five meters ahead of his nearest rival. Eric had won the gold in 47.6 seconds, a world record! 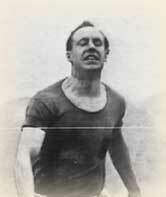 For Eric Liddell, however, this was not the ultimate race. His whole life was a race: a race for the kingdom of heaven. He sailed two years later to China as a missionary and was still running his race for God when he died on February 21, 1945 of a brain tumor and typhoid in a Japanese prison camp. (The Japanese had rounded up all foreigners at the beginning of World War II.) By then, everyone in the camp had come to know his courage, his love and his smile as he tried to make conditions in the camp the best they could be. July 8 marked 1,000 days since Iranian pastor Youcef Nadarkhani was imprisoned. After 1,000 days, his life on earth remains in jeopardy as he may face fresh charges pertaining to crimes against national security and possibly blasphemy, reports Christian Solidarity Worldwide. Judges have reportedly received instructions to try Pastor Nadarkhani on new, trumped up charges in order to make his sentence appear more acceptable. A date for the new trial may have been set for September 8. 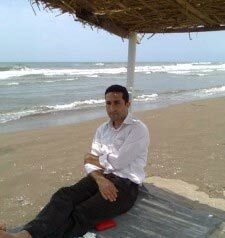 Pastor Nadarkhani is currently in prison facing the death sentence for apostasy, which was upheld following an appeal at the Supreme Court. 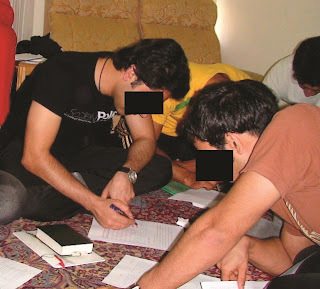 He was arrested in his home city of Rasht in 2009, soon after questioning the Muslim monopoly of religious instruction for children, which he felt was unconstitutional. His case has twice been referred to the Supreme Leader of Iran, who has yet to issue a final ruling. He has been offered freedom in exchange for renouncing his faith on at least four occasions, but has consistently refused to do so. Without the intervention of Supreme Leader Ayatollah Ali Khamenei, or Mr Sadegh Larijani, the Head of the Iranian Judiciary, who have the authority to halt an execution, the authorities are obliged to carry out the Supreme Court ruling, which stated that Pastor Nadarkhani could be executed if he refused to recant. For more information and helpful tips on writing letters to prisoners of faith, click here. One year ago today, South Sudan seceded from Sudan. Since the July 9, 2011, secession, the Church in both Sudan and South Sudan faces difficulty, yet the Lord is proving faithful. Below is a recounting of the secession from Restricted Nations: Sudan, a short book which provides a brief history of the persecuted Church in Sudan through historical facts and personal narratives. May you be encouraged to remember our brothers and sisters in Sudan and South Sudan in your prayers in the years to come! It was early morning, just a few hours after midnight. Voters were already gathered at the polls. 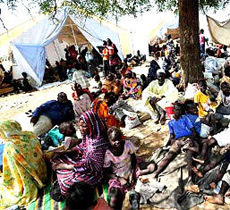 Some were signing and chanting slogans – words of hope that this day, January 9, 2011, would begin a move toward the independence of South Sudan from the North after a prolonged period of civil war. In the days surrounding the vote, many Northern Christians fled to the South out of fear that President al-Bashir’s regime will shift toward “radical Islamization” in the wake of the referendum. Just a little over a week later, on January 14, the voting process came to an end. It was decided: South Sudan would in fact become the world’s newest nation. Many greeted the news with great joy, seeing it as an answer to prayer. Yet, as many Sudanese Christians noted, it was also a cause to renew the fervent call for intercessory prayer as they looked forward to July 9, the day of official secession. For those on either side of the new border, many challenges remain. All the while, prayers for permanent peace for the Sudanese people continue to be lifted up. Still Sudan’s people long for true and lasting unity. Still God’s faithful children ask God to enable their witness to be made stronger, not weaker, by pressure and potential violence. Still God watches over this land, reigning in all His glory, authority, and sovereignty. May the Church in both of these nations continue, together, to build on the century-long legacy of forsaking all in loving loyalty to Jesus Christ. To learn more about Sudan’s persecuted Church, click here. For more information about Restricted Nations: Sudan, click here. “...seven, eight, nine – you! Step out!” The Nazi guard yelled at the woman. The commandant had ordered every tenth prisoner executed as punishment for two women’s escape the previous night. “Please have mercy on me! I have a child,” the tenth woman pleaded. One step forward can make all the difference. Christians often live their lives precariously balanced on the ledge between safety and the unknown. Those who have taken the small step forward into the unknown have always found the faithfulness of God. Noah. Moses. Abraham. Deborah. Ruth. Mary. Paul. The list of biblical examples goes on and on, not to mention a host of history’s hall of fame. One step of faith changed their lives from ordinary to extraordinary. Is God calling you to step forward in faith today? Do you hear his voice in your heart? Listen up. Prepare to move. Your small step of obedience could show others the way to God. Every day, more Iranians are hearing the message of the Way, the Truth and the Life through satellite TV broadcasts. Watch this video to learn about one family that experienced transformation through Christ’s love and saving grace. For other videos like this, visit VOM Canada or VOM USA on YouTube. You can also watch videos on our multimedia site. Religious minorities have all but evacuated Pakistan amid increasing extremism and restrictions on religious freedom, reports UCANews. Non-Muslims now make up less than four per cent of the country’s 170 million residents, a drastic decline from the 40 per cent when modern Pakistan was formed in 1947. “Attitudes towards non-Muslims became more aggressive under the prolonged military regimes, while the democratic governments failed to address the situation,” said Nasira Iqbal, a retired judge of Lahore High Court. The introduction of blasphemy laws has made non-Muslims more vulnerable to persecution, she added. Kanwal Feroz, editor of a Christian monthly, said the emigration trend has increased among Christian families as well, especially among the young generation. “There is a wave of disappointment every time culprits of anti-Christian violence go unpunished,” Feroz said. He also pointed out that gaining asylum can be more difficult for Christians than Hindus, who are more easily accepted in India. “Many Christians lose huge amounts of money seeking asylum abroad,” he said. Put yourself in the shoes of a Pakistani Christian. Would you stay? Would you seek to leave? Why or why not? Kidane was held in a metal shipping container. Kidane had only been a Christian for two days when he was arrested at a church service in Eritrea, reports Christian Solidarity Worldwide. Along with the rest of the congregation he was taken to prison, where he lived in a tiny cell with one other person for six months. The cell was just seven by five feet, and was very dirty and hot. He could only sleep from 4am-10am – when prison walls got a little colder. He couldn’t go outside, and was only given bread and soup to eat. But after that things got much worse. He was imprisoned in a metal shipping container with 22-25 other people. In the daytime the container was boiling hot – the windows were only small. At night, once the door was shut there was no oxygen. Kidane lived like this for eight months. In May 2010, Kidane was asked to sign a letter by the government to renounce his faith. Kidane has several brothers and sisters, but they are not Christians, so the government was using them to plead with him to renounce his faith. When in prison, his mother came to prison to plead with him to sign the government document. When he agreed, it was the hardest moment of his life, because he knew he was rejecting Jesus Christ. After two days, he changed his mind and peace returned to him. Kidane was asked, “Do you prefer your container to signing this document?” He replied, “I want to stay here with the peace of the Lord rather than go out without His peace”. After enduring years of hard labour, Kidane tried to escape with four others. They went into hiding in the bush. Moving only in the dark, the group could hardly see the top of the nearby mountains by moonlight. When the group was approaching the border area with another country, dogs began to chase them and an Eritrean soldier appeared. Everyone panicked and ran in different directions. Suddenly Kidane was on his own. After much walking, he attempted to cross the border and was stopped by an Eritrean soldier. He asked the soldier to help him and the man showed compassion. Kidane is now a refugee, but he is still in a vulnerable situation. Today there are 20,000 people imprisoned in Eritrea – often referred to as the North Korea of Africa. Between 2,000 and 3,000 of them are Christians, imprisoned in inhumane conditions – without trial or charge – in detention centres where torture is rife. Please remember to pray for Christians like Kidane! Pray that Christians jailed for their faith in Eritrea will be released from prison. Pray that Eritrean Christians will look to Jesus for their hope and strength. Pray that God will bring about justice in an unjust world (Psalm 140). To read the full report, click here. For other stories and information on Eritrea’s persecuted Church, visit our Eritrea Country Report. Many have fled their homes due to violence in Sudan. A year ago, Mohammed Khidir Khalil was glad his family had obtained refugee status in Egypt after fleeing Islamic hostilities in Sudan. The 38-year-old Christian was also heartened that his formerly unbelieving wife was attending church with him. However, Compass Direct News reports that today the convert from Islam is back in Sudan fighting to recover his family after his in-laws compelled his wife to claim she was Muslim and divorce him. A Sudanese court automatically granted her custody of their two sons and forbade him to see them, he said. He fears that if he persists in his legal battle, he faces the threat of being accused of “apostasy,” or leaving Islam. It was last August that his Muslim mother-in-law visited them in Egypt. “Without my knowledge, she took my wife and children back to Sudan,” Khalil said. The couple had fled Sudan just before the South Sudan vote for independence on January 9, 2011, after threats from the couples’ Muslim families and others intensified, Khalil said. On Christmas Day, Khalil decided to return to an undisclosed town in Sudan to search for them. He was shocked to discover that his wife, Manal Hassan, had filed for divorce on grounds that she was a Muslim and he a Christian. Pray that he will be reunited with his wife and children. Pray that, as sufferings overflow, his comfort in Christ will be more than enough for him (2 Corinthians 1:5). To read the full report from Compass Direct, click here. For more information on Sudan’s persecuted Church, visit our Sudan Country Report. If you are in the Brooklin or Calgary areas, we warmly welcome you to join us in hearing how God is at work in countries where Christians are persecuted today. July 15, 2012 – 10:30 a.m.
For more information about these events, please contact our office at 1-888-298-6423 or email thevoice@vomcanada.org. To view other upcoming VOM events, or to request a speaker, please visit our Events page or contact our office. I had met the typical Soviet man, a being who has been robbed of one of the greatest gifts given by God to man: to be an individual in his own right. He had been changed into a robot who waited for orders about what faith to embrace or reject. The Communists don’t allow any sphere in which the individual is free. Therefore, love the Communists and be gentle towards them only in the measure to which this does not conflict with the main purpose. Robots must be changed into men again. Christ must be proclaimed and accepted freely. His kingdom must come. Excerpted from Richard Wurmbrand’s book, Alone with God. In Canada, you can order this book from our online catalogue or by contacting our office. 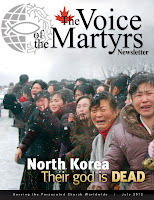 Look for the July issue of The Voice of the Martyrs newsletter in your mailbox this week! Christian martyrs: Read the story of Robert Thomas, the first Protestant missionary to North Korea, and discover how God used his faithfulness in surprising ways. Bringing help and relief to Sudan and South Sudan: Discover the ways that your partnership with VOM provides community development, relief, and other supplies to our persecuted family in Sudan and South Sudan. VOM around the world: In the midst of opposition, VOM is working to serve our brothers and sisters and encourage them with God’s Word. This month, find out how VOM recently built new homes for expelled believers in Myanmar and distributed 10,000 Bibles in Chiapas, Mexico. Just for kids! Are you looking for ways to keep your kids busy this summer? Find out how VOM’s children’s ministry, Kids of Courage, can teach your kids about their persecuted family through age-appropriate stories and activities. Nikolai Khamara was arrested for robbery and imprisoned for ten years. Khamara watched the Christians and wondered what kind of beings they were. They were men, but they would show joy despite their suffering and would sing in very dark hours. When they had a piece of bread, they shared it with someone who had none. Their faces would shine as they spoke to someone who Khamara could not see. How is value measured? Usually by a person’s investment of time, money, or emotion. That is, how a person treats a possession, an activity, or even a relationship reveals how much it is valued by that person. Consider, of example, the difference in the treatment of old work clothes and a new suit. Or the contrast between the care of a paper cup and a crystal goblet. And when a valued possession is lost or a loved one injured, oh, the tears that are shed. So, how valued are people...are you? As the Christian told Khamara, so valuable that Jesus left heaven and died on a cross for his lost and rebellious creatures. God loves them that much. You are loved; you are valuable. Rejoice and spread the Good News to the other “loved ones” near you.